Jaibros Missile Frigate 490 Pcs. Block..
Lego ® Creative Supplement (303 Pc..
Lego Batman Dc Comics Super Heroes Sca..
Lego Emma's Pet Party (67 Pcs)(Multico..
Lego Michonne (Custom) The Walking Dea..
Emob Decool 121 pcs 3 in 1 Architect S..
Kinder Creative Color Shapes Sorting B..
Popular Stack Junior Ring for Kids(Mul..
Skola Twisting Blossoms - Twist & ..
AM Enterprises Multicolor Stacking Rin..
Skola Twisty Trio - Twist, turn and st..
kts khalsa toys and sales Heavy Tank G..
Shopping for stacking toys online is now easier than ever! Once your little ones are old enough to sit up on their own, it's time to entertain them with an array of new and more challenging playthings. The various e-commerce sites have made it extremely easy to buy baby toys online. Stacking toys are a must have when it comes to encouraging the development of baby's hand-eye coordination and fine motor skills. Check out these fun, educational, and oh-so-cute options to incorporate into your infant's stash of first-year toys. Blocks for babies are toys that are designed to be piled on each other to form a design or a small tower. Stacking blocks toys can be educational for your children by helping them recognize shapes, colors and sizes. Toddler stacking toys improve the hand-eye coordination and problem solving skills of children while letting them have fun all day long. Buying blocks for babies is advantageous in more ways than one! Baby blocks and other construction toys can change the way kids think. Building projects stimulate creativity, and sharpen crucial skills. 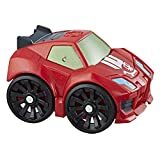 As psychologists have noted, parents and teachers need to design environments that encourage and enhance problem solving through toys online India from a young age. And baby blocks game seems ideally suited to the purpose. Studies suggest they can help kids develop motor skills and hand-eye coordination, spatial skills, a capacity for creative and divergent thinking, social skills, and language skills. Moreover, children can integrate their own constructions into pretend play scenarios when it comes to stacking toys for toddlers. 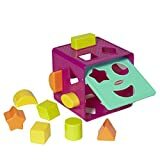 There is also evidence that complex baby blocks toys are linked with advanced math skills in later life. Because kids can put together blocks in a variety of ways, block play is divergent play. And divergent play with blocks may prepare kids to think creatively and better solve divergent problems. Moreover, if you buy the baby toys sale through CashKaro, you can get extra cashback! It will be credited to your account when the retailer pays up. Research suggests that kids become friendlier and more socially-savvy when they work on cooperative construction projects. For example, autistic kids who attended play group sessions with toy blocks made greater social improvements than kids who were coached in the social use of language. Other studies on normally-developing kids have shown that kids who are into stacking toys from an early stage form higher-quality friendships. Thanks to online shopping, you can now shop from the convenience of your home and get discount baby toys delivered right to your doorstep. Pay for these cheap baby toys by using your card online or avail the cash on delivery option. You can also check out Hannah Montana toys for kids which they will absolutely adore! A great game to play with your baby, stacking toys involve simply just stacking up the cups or rings and letting your baby knock them down. You’d be surprised how many times you can do this with stacking rings toy before your baby gets bored. When your baby is almost crawling, if you put the toys just out of his or her reach, it can really motivate them to crawl in order to knock down that stacking tower. The best baby stacking toys can teach cause and effect – if you hit it, it will fall! There are plenty to choose from as stacking toys for babies are available in plenty at the online retailers, each full of creative design. Additionally, if you avail promo codes and discount coupons, you can easily get baby toys cheap. Babies can’t get enough of stacking, and while the task seems easy enough, babies learn through these toys.